For those who start Jiu Jitsu at a young age, we have a huge range of kids BJJ Gis and kids kimonos to choose from. Find a kids kimono in black, white, blue or navy, alongside a range of kids BJJ belts, all from the reputable brand, Kingz. Shop the range below or go check out the rest of our kimonos and BJJ belts. 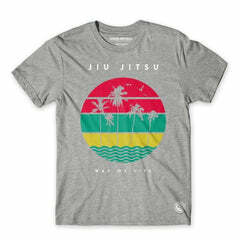 If you’re looking for kids Jiu-JItsu clothing, you’ve come to the right place. At Fighters Market EU, we encourage youngsters to get involved in BJJ and MMA from a young age, and we have everything you need to kit them out. Not only will getting your kids involved in martial arts boost self-confidence, it will also improve their ability to focus and promote increased physical fitness. Our kids BJJ gis are designed to offer function and performance, created by leading jiu-jitsu brands such as Kingz Kimonos, experts in the BJJ field. For more quality kids BJJ supplies, take a look at our collection of kids BJJ belts. Our kids BJJ clothing ranges include kid’s BJJ Gis in a range of colours and sizes from leading BJJ brands such as Kingz. We also offer a wide range of kids BJJ belts in block colours and stripes to suit your training needs. Kit your little ones out for their MMA future with the range of kids BJJ clothing at Fighters Market EU.